"After 3 months of seeing Auriol I feel better than I have done in years. I have more energy and it is great to be able to wear everything in my wardrobe." Nutritional therapy is the use of nutritional health and science in order to promote optimum health, prevent disease and resolve various health issues. It involves dietary intervention and, if appropriate the sensible use of dietary supplements. A nutritionist interprets the interaction of nutrients and other substances in food in relation to physical maintenance, growth, reproduction, health and disease of a person. It includes food intake, absorption, assimilation, and excretion. Nutritional science provides positive change and can help to alleviate a wide range of conditions including weight loss, chronic fatigue, lack of energy, food intolerances, irritable bowel syndrome, diabetes type II, high cholesterol, high blood pressure and eczema just to name a few. Nutritional therapy considers the underlying causes of a condition, and treats the person as a whole, not just the symptoms. Nutritional theraoy also offers individual personalised nutritional advice and support including Nutrigenomics and DNA Testing (covering aspects of health ranging from weight management to analysing metabolic areas associated with chronic disease) to keep you in peak performance. Prior to your appointment you will need to complete a health questionnaire and 3 day food and lifestyle diary which should be returned prior to your first consultation, so that a full clinical history can be obtained. The consultation process will last for one hour. Once I have established what may be the underlying cause of your condition, we will work together on formulating an individually tailored nutritional and lifestyle programme over the coming weeks. This may include lab testing and/or the recommendation of supplements if deemed appropriate. I will then arrange a follow up in approximately 4-6weeks’ time, at which point we will discuss how you have been, what benefits you have seen and if there are any changes that need to be made to your programme. In order to see the full benefit of your nutrition programme, and to give your body enough time to heal, a minimum of three consultations is usually required. Joanne is a Registered Nutritional Therapist with a first class science degree, certification in sports nutrition and a member of BANT and CNHC. She is also a local BWY Yoga teacher, and a member of the Association for Coaching. Nutrition advice is useful to optimise your performance in sport or at work; or for diverse health concerns such as digestive health, stress, mood, weight or energy. Friendly and motivational advice can be given with simple food and lifestyle recommendations, or we can do more complex investigations by using scientific tests. Joanne is a regular attendee on the BBC Berkshire Radio Wellbeing panel, and also manages The Ravenous Athlete FREE Facebook group if you would like free tips. Auriol is a Registered Nutritional Therapist, (having studied for 4 years at the Institute of Optimum Nutrition in London), qualifying in 2012 with a Nutritional Diploma and Foundation Science Degree and am a full member of BANT (British Association of Nutritional Therapists) which is the professional body for Nutritional Therapists and CNHC (Complementary and Natural Healthcare Council) which is the Government supported regulatory council for complementary therapies). Auriol offers personalised programmes to help individuals with their health needs and goals. If you have any health concerns or need to book an appointment, visit www.vitologynutrition.co.uk or call Auriol on 01344 831660. Phoebe has a degree in Nutrition and Health and is an Associate Nutritionist registered with the AFN. 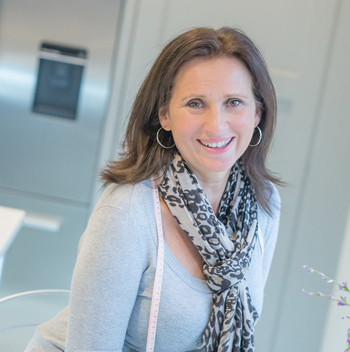 Phoebe is passionate about Nutrition and offers Professional Nutritional and Lifestyle advice, constantly keeping up to date with the latest scientific research and translating this into practical guidance. Phoebe covers a variety of areas including, Weight Management, Food Intolerances, IBS, Bone & Skin Health, Increasing Energy Levels, Sport Nutrition and Maternal, Infant and Child Nutrition. Phoebe is a dietary educator and can also advise on “Food Labelling” – What does the Traffic Light system really mean, are foods labelled as “Low Fat /Salt /Sugar actually good for you? And Healthy eating ideas on a budget. If you have any health concerns or need to book an appointment, visit www.phoebewhartonnutrition.com or call Phoebe on 07983 533550. Rebecca, BA (Hons), BSc (Hons), RD, is a Specialist Dietitian with a first class degree in Nutrition and Dietetics at the University of Surrey. Rebecca has over 5 years experience working in a clinical (NHS) environment and is founder of the Family Nutrition Clinic. As a registered member of the Health and Care Professions Council (HCPC) and British Dietetic Association (BDA), with continuous training providing knowledge of the latest scientific advice, your consultation with Rebecca will be informed by the most up-to-date evidence. Rebecca provides dietary advice for children and adults for problems ranging from: cow’s milk protein allergy, fussy eating, constipation, diarrhoea, faltering growth, coeliac disease, irritable bowel syndrome and weight management. Kelly qualified as an exercise referral specialist through the YMCA Awards, which included a Level 5 closed book exam of Medical Conditions. She also has a nutritional therapist qualification at level 5. Prior to this, Kelly gained 12 years’ experience as a personal trainer, and also ran fitness boot camps. Kelly has had a lot of success with clients over the years, and now would like to help people who suffer with medical conditions. Kelly is also registered with the Register for Exercise Professionals (REP’S). The initial consultation lasts between 45 -60 minutes, and after appointments can be either 30 minutes, or 60 minutes. If you would like to book an appointment or speak to Kelly, please contact 07738 096346.